The River Coln flows S.E. 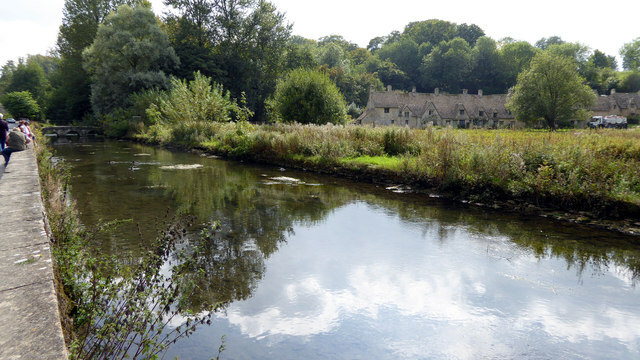 alongside the B4425 in Bibury. Arlington row (Link ), up Awkward Hill, can be seen on the right.